In 2012, Hired co-founders Matt, Allan and Doug came up with the idea for Hired over beers at a popular pub in San Francisco. As serial entrepreneurs, they’d all experienced the pain of trying to hire top talent using commonly available tools, or what Matt described as “shopping for a house using a phone book.” Fast forward to our three-year anniversary, and Hired’s marketplace has helped thousands of individuals find tech and sales jobs at leading companies from San Francisco to London. It’s an accomplishment we’re incredibly proud of, but the reality is that our ambitions are much, much bigger: We’re on a mission to empower everyone to find a job they love and to change the way that hiring is done forever. Today, we couldn’t be more excited to share a few pieces of news that underscore our maturation as a business, speak to the progress we’ve made towards accomplishing this goal and shed light on our strategy for the future. The first bit of news is on the people front. It’s no secret that at Hired, we believe that finding the right people is essential to an organization’s growth. Nowhere is this more true than at the executive level, where having great leaders is essential to a company’s success. For this reason, we are thrilled to share that Hired President Mehul Patel has been promoted to CEO. Mehul has nearly two decades of experience working in venture capital and scaling marketplace companies, and has been with Hired since the company’s early days helping to shape overall business strategy and attract great talent and investors. He’ll continue to play a central role in ushering in the next chapter of our growth. Founder and former CEO Matt Mickiewicz will be returning to what he loves as our Chief Product Officer, where he’ll help guide Hired’s product and user experience.  We’re also welcoming Juney Ham to the Hired team as CMO. This is a brand new role for us and one that we’re particularly excited about as he will be responsible for shaping Hired’s global marketing strategy, driving brand awareness and scaling our user acquisition efforts. Juney brings with him a stellar resume of helping grow brands like Airbnb and Expedia. He also recently built and sold Upside, a financial technology startup that helped financial advisors better leverage technology to service their clients. Both of these team changes come in the midst of an incredibly exciting time at Hired where we’re seeing rapid growth in all areas of our business. We’re working with more than 3,000 companies, have grown to 130 employees and have launched a new city every six weeks throughout 2015, including our first overseas office in London. At our headquarters in San Francisco, we’re preparing to move into new digs in San Francisco’s mid-market corridor. We’ll be doubling our office space to 25,000 square feet, taking up residence in 1455 Market alongside other prominent local tech companies like Uber and Square. We’ve got lofty goals for the future, one of which is to become the de facto place that people come to begin and end their job search. Hitting these milestones is the best possible evidence that we’re on the right path to make that happen, and that we’ve got a solid foundation for the future. We’re continuing to set aggressive goals and hope you’ll continue to check back here for more updates on our journey.